Traditional veganism consists of abstaining from the use of animal products; however, there are also stricter practices some vegans follow that people may consider weird forms of veganism. Of course, these people don't follow their diets because they are weird or alternative. They just have different beliefs as to what is and is not okay or healthy to consume. People who are on the raw food diet don't eat anything that's been cooked to a temperature higher than 116 degrees. They believe that cooking foods any further than this kills enzymes that are important for optimal health. Instead of eating traditionally cooked foods, raw foodists may use a blender, food dehydrator, or other food preparation techniques. They also eat a lot of uncooked fruits, vegetables, nuts and seeds. 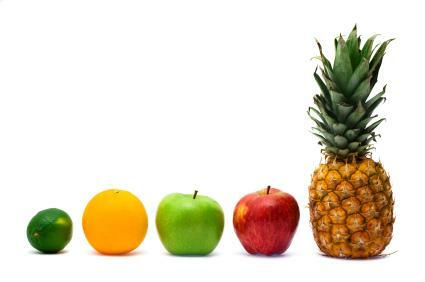 Fruitarians, as people who follow this diet are called, eat only uncooked fruits, nuts and seeds. They will not eat anything that requires them to kill a plant. For example, carrots and lettuce are not permitted on this diet since farmers harvest them and replant them the next year. A few foods that people consider vegetables that are allowed on this diet are ones that can simply be picked, such as olives and tomatoes. These are sometimes referred to as "vegetable fruits." Fruitarians can also eat sprouting seeds, such as alfalfa sprouts, since they are not technically harvested plants. Some fruitarians do limit their diets to strictly fruit only. However, this is often just a misconception due to the name of the diet. People on this diet cook in traditional styles that are said to retain the balance of the yin and the yang. Further rules are available on Webmd.com. This is the vegan version of the Warrior Diet, which is designed to follow the diet patterns of ancient warriors. Like warriors who had to go to battle during the day, followers of this diet fast in the morning, afternoon and evening, which is known as the under eating period. Then an hour or two before they go to bed they begin the overeating period, where they eat a very large meal until they are satiated. This diet consists of a lot of water during the first phase, as well as vitamins and tea. The second phase can be vegetables, crackers, soy milk or any other number of vegan dishes. Foods with chemical additives, such as artificial colors or flavors, are not recommended. Although this diet may not seem healthy, many insist that it is a great way to lose body fat. People who would like to try these diets, whether they consider them weird forms of veganism or not, should always consult a doctor or nutritionist first. If any of these diets are not followed properly they can lead to vitamin deficiencies. Also, people may lose weight too quickly or in an otherwise unhealthy manner. Since part of the goal of changing one's diet should be to feel better, it's imperative not to neglect this step.